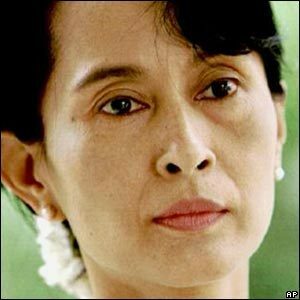 Aung San Suu Kyi. Aung San Suu Kyi is Burma's rightful leader kwa democratic election. She has been in house arrest since she was elected in 1990. When she was awarded the Nobel Peace Price in 1991, her husband and two sons, who are free had to accept it in her place.. Wallpaper and background images in the Human Rights club tagged: burma aung san suu kyi. Aung San Suu Kyi is Burma's rightful leader kwa democratic election. She has been in house arrest since she was elected in 1990. When she was awarded the Nobel Peace Price in 1991, her husband and two sons, who are free had to accept it in her place.